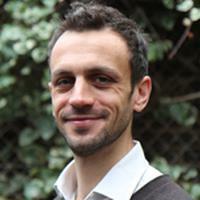 Josh is a Senior Research Associate at the Institute of Innovation and Public Purpose at UCL. He works across a range of areas including inclusive growth, the economics of innovation, economic rent in modern economies, finance and measuring public value. He was previously a senior economist at the New Economics Foundation (NEF), one of the UK’s leading think tanks. There he lead a research program focused on money, credit, banking and the macroeconomics of land and housing. He has written two co-authored books: 'Where Does Money Come From?' (2011, NEF), a comprehensive guide to the UK monetary system which is used as a textbook to teach economics in the UK and U.S.; and ‘Rethinking the Economics of Land and Housing’ (2017, Zed books) which featured in the Financial Times’s Martin Wolf’s top summer reads of 2017. He has a PhD in economics and finance from the University of Southampton Business school and is a Visiting Research Fellow there and also at City University London’s Political Economy Research Centre (CITYPERC).